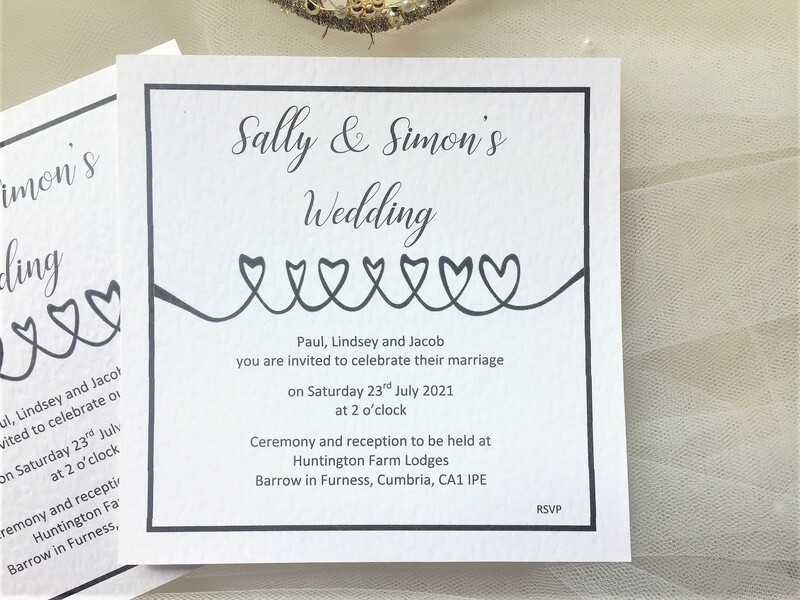 Linked Hearts wedding invitations, this simple contemporary design features a row of linked hearts. 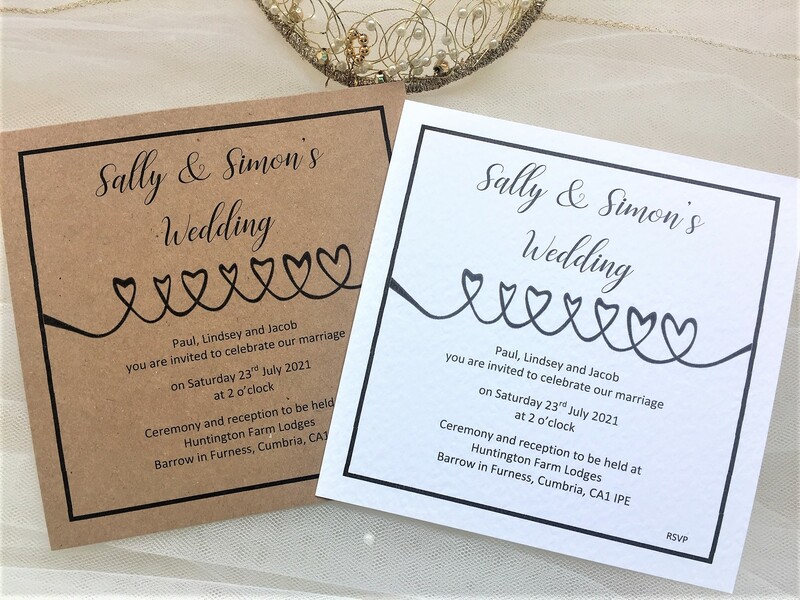 Available on thick heavy weight white or ivory hammered card (270gsm) or alternatively they can be printed on our brown kraft card for a more rustic look. 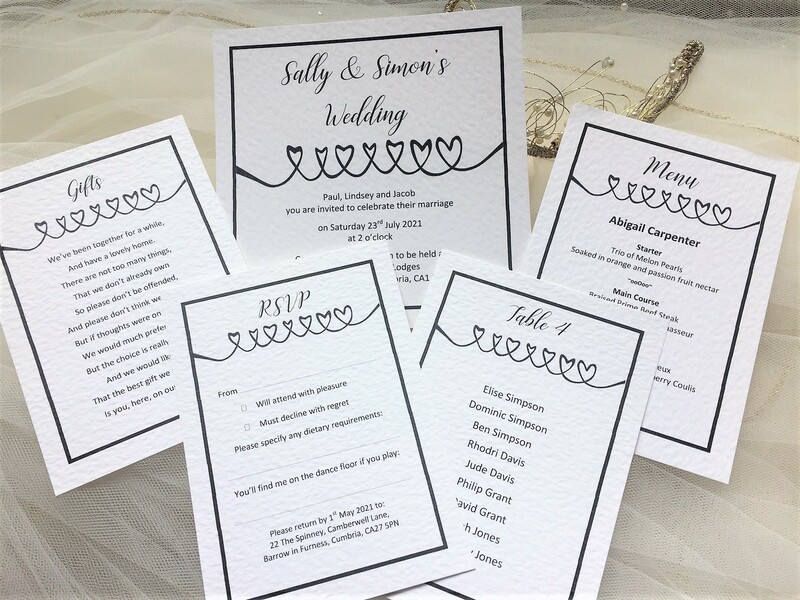 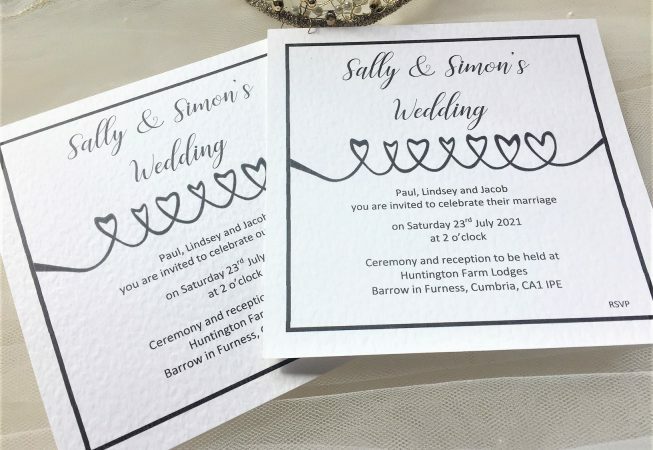 Wedding invitations are supplied with a matching envelope and we can print your guests names free of charge (this is optional). 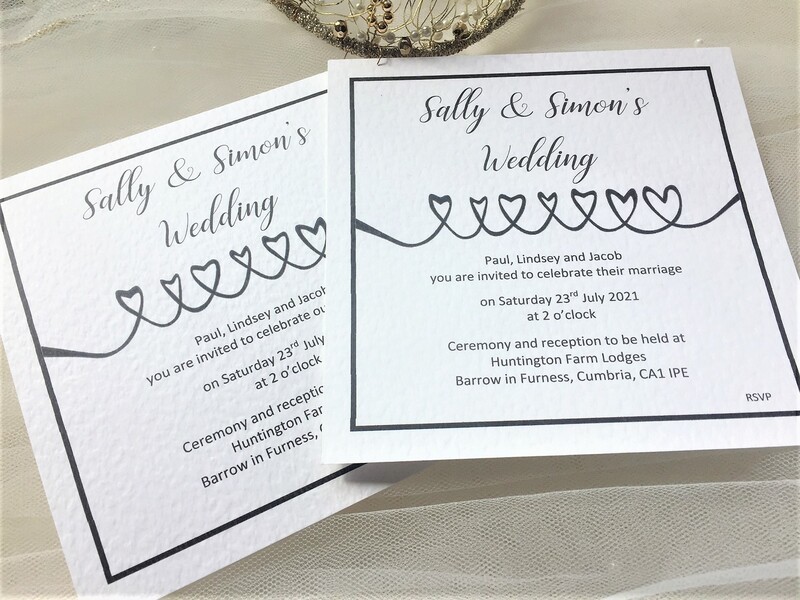 We also supply a smaller Linked Hearts wedding invitation (postcard size) for just 80p each.